Anyone that has a pre-school child may understand the love/hate relationship that I have with the little pig known as Peppa. For those of you who haven't seen the programme you should have heard of the global franchise that is Peppa Pig. When my son was turning 2 he was mad for it! Every time the theme tune started he began laps around the living room until the programme began. He would then be engrossed for the 7 or so minutes that it was on. During that time, I ran around the house like a lunatic. I'd be picking up discarded toys, dusting, washing dishes and gathering laundry, all whilst brushing my teeth. I even managed to take a shower during one episode! I realised the craziness of this and decided to buy the DVD. I worked out that 8 episodes would give me around 45 minutes. Before I had children I vowed not to use the television as a distraction but that was before the reality of juggling work and home-life! For those of you who have never experienced the delights of the programme, here’s how it goes. 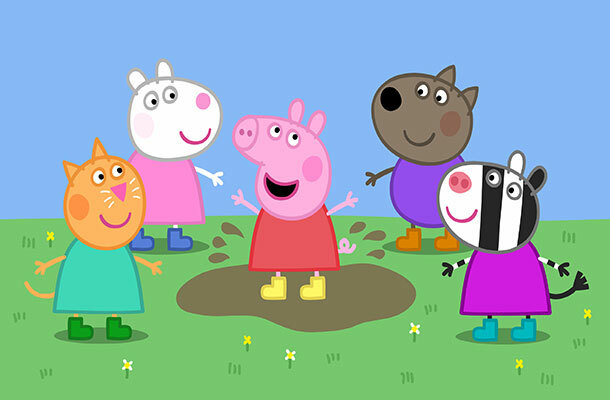 It is centred on the Pig family with Peppa being the mischievous star of the show. They all live in a little world with other animal type families including a dog family, rabbit family and zebra family. Their names also correspond with the first letter of their animal type. For example Peppa Pig, Rebecca Rabbit and Candy Cat. Except for George, who is not a Goat, as you might think? Fast forward 19 months and I now have twin girls who have also started to take an interest in the puddle jumping hog. So it's inevitable I am going to face hours of the theme tune and start asking myself the same questions. Why do they all live on top of a hill? Why is Miss Rabbit not called Super Rabbit and given a cape? And why isn’t George called Peter? 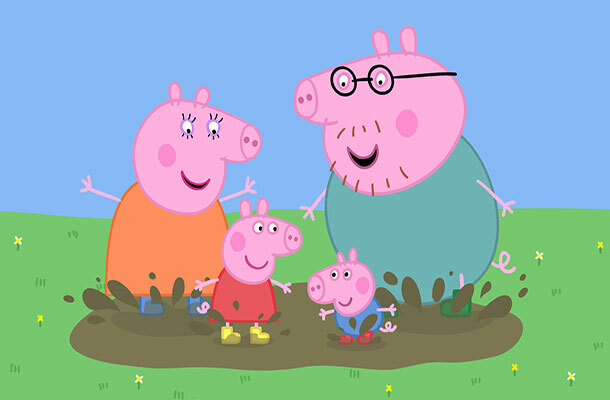 Peppa Pig was created by Mark Baker, Neville Astley and Phil Davies, animation graduates from Middlesex. As creators of the programme they automatically own the IP rights through copyright. It is reported that the trio sold 70% of the company earlier this year for £47 million each. As owners of the IP, they were able to decide how much they wanted to sell on and still maintain a level of control. It’s not just the programme either, the brand grosses over $1 billion at retail globally per year. It is a childhood favourite in 180 countries. You can get Peppa Pig branded clothes, jewellery, books, hairbrushes, cakes, lunch boxes, the list goes on. They even have a theme park! You can visit Peppa Pig world and listen to the theme tune on a loop standing alongside middle-aged men with ‘Daddy Pig’ across their chest. The brand is clearly very lucrative and of course, protected by a number of registered trade marks. So it looks like Peppa is here to stay! Will I ever walk past a muddy puddle ever again without the fear of the inevitable? Ahhh the joys of motherhood! See you on the other side, Oooooiiiiiiinnnkkkkkkk!!!!!!!!!!!!! Thank you, it has been a life-line in my house. Glad you enjoyed the blog. 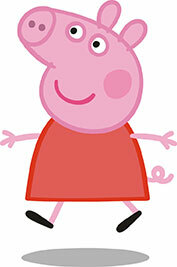 Peppa Pig is one of the most popular characters of every kid's childhood. It's no wonder that Peppa achieved such a success in many countries around the world. Children love her just like a lot of adults. Best regards - Oooiiinnnkkk!! !